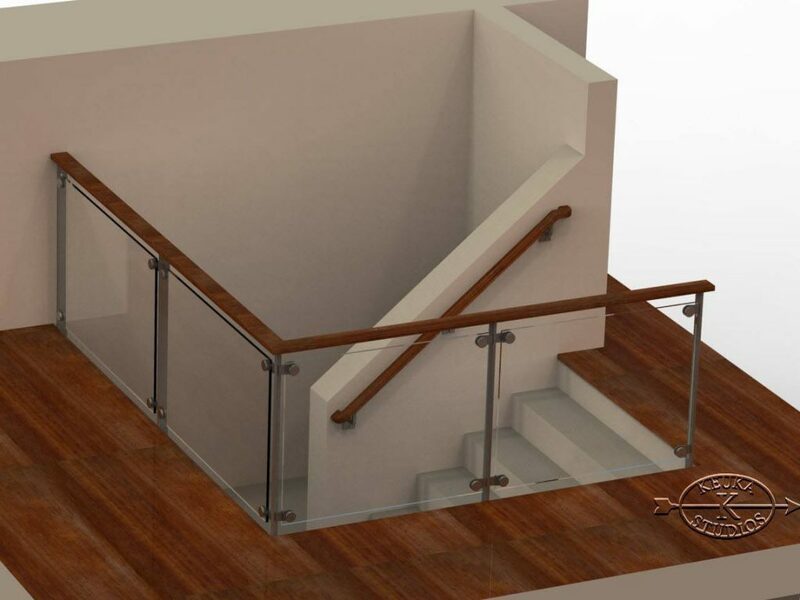 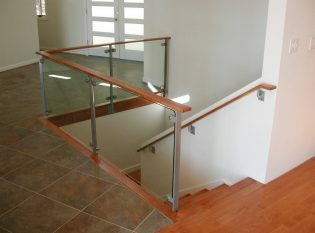 Description: Ithaca Style custom glass railing post design and hand rail brackets. After we fabricated an Ithaca Style railing for this home’s exterior deck, the homeowner asked us to design a matching glass railing system for the interior. We used the same post design as our Ithaca Style cable railing but with a glass infill that gives the home’s entryway a clean and modern look.